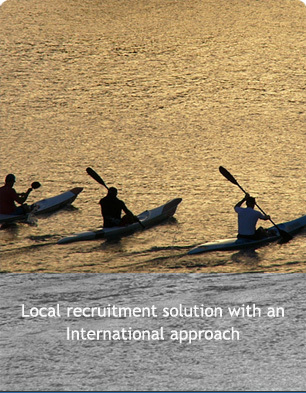 Based on over 13 years of international recruitment experience, D & R CONSULTING LTD. is focused on senior specialists within Europe, CIS countries and the Middle East. Our comprehensive client list of some of the world's most reputable multinationals is testimony to our success along with testimonials from some of the most experienced and sought after international managers in the market. Our reputation is based on the expertise of our consultants in specific industries and functional practices, the rigor of our processes and the passion of our people. We like to regard ourselves as a flexible and entrepreneurial organisation that will go "the extra mile" in delivering the right person first time, every time! We continually strive to seek ways to improve the quality of the services we provide. We are committed to develop excellence across all aspects of our company and we never become complacent about the level of quality we deliver. Having located our offices centrally in UK, Bosnia & Herzegovina, Romania, Russia, Serbia, Switzerland and UAE, we have completed assignments in Europe, CIS countries, Middle East and Asia. One of the things that set D & R CONSULTING LTD. apart is the quality of our consultants. All our consultants, whether sector experts or functional specialists, are authorities in their area. Long Term Relationships are central to our culture and we are able to maximize effectiveness and reduce clients' costs through innovative techniques. Our international database and extensive contact network allow us to remain cost competitive in the contract labor market.